We print a lot of posters at ABNRML but most of them tend to be for specific shot performances. We always love when we are screening prints that are going to be showcased throughout a whole tour. 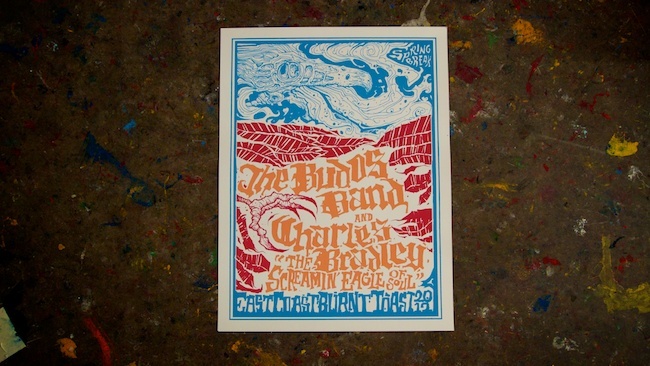 We were recently contacted by The Budos Band to print some posters for their East Coast Burnt Toast Spring tour. It was a simple 3-color print on white French Paper cover stock that turned out great!